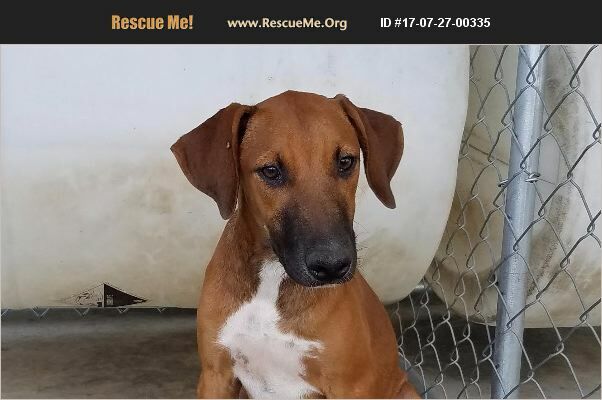 Georgia Redbone Coonhound Rescue View other Redbone Coonhounds for adoption. Ginger has a lot of potential to be a great dog for someone. She is very quiet right now. She seems like she was mistreated in the past. It doesn't stop her from enjoying a good belly rub though. She does a little better each day that she is at the shelter. She is learning that people are there to be kind and take care of her. She is great with the other dogs there and loves to play with them. She is a little protective of her food when the other dogs get too close, but the other puppy she is with just gives her some space and she is fine. We think Ginger would be best in a home with other dogs. If you are interested in adopting Ginger, please email muttsoflove@yahoo.com for an adoption application.